"Professional, friendly and efficient. The Nualaw team were a bliss to deal with." "Very professional, excellent communication, very reassuring and fantastic throughout!" "I would highly recommend this firm in an employment situation!" "Your service has been fantastic, your straight talking and honesty second to none"
We provide a full service which runs from initial advice through to representing you at tribunal. We will assess your situation, identify your options and give you pragmatic commercial advice. We provide advice on without prejudice and protected conversations and when to use ACAS to help resolve a dispute. Nualaw are employment law solicitors in Warwickshire providing employment law advice and advocacy services for both individuals and businesses throughout the UK. Our specialist area is representing employees in multiparty actions following redundancies arising from administration, liquidation, workplace closures or business sales. We also advise and represent claimants in claims and defend employers from claims for unfair dismissal, constructive dismissal, discrimination and whistleblowing and advise on settlement agreements for both employees and employers. As a small specialist employment law firm based in Warwickshire which is owner-managed, Nualaw limits the number of clients it chooses to represent and so can be confident of devoting the time and attention required to each and every client. Rapid response, comprehensive advice and ensuring identification of every issue comes as standard. Nuala is Manging Director and has specialised in employment law for 13 years. Nuala qualified as a solicitor in 2005 after completing her training at Anthony Collins Solicitors in Birmingham. She founded Nualaw in 2008. Warren is also a director and has worked at Nualaw since 2011. Warren undertook his training at Nualaw and qualified as a solicitor in 2013. Assistance beyond these hours is readily available by prior agreement. "Multiparty claims on a no win no fee basis"
When a business becomes insolvent (sometimes called going bust or ceasing trading) or is sold employees are often the last to know and are left bewildered and jobless. We have represented thousands of employees whose employment has been terminated due to the closure or sale of their employer. Where more than 20 employees are affected by a closure, administration or liquidation, you may be able to claim compensation if there has not been sufficient consultation, regardless of your length of service. If your employer does not have the funds to pay this compensation the Redundancy Payments Service operates a scheme from which employees can claim. The same scheme that contributes to your notice pay, holiday pay, unpaid wages and redundancy can be utilised to recover some additional compensation. Where a business, or part of a business, is sold this may amount to a transfer, meaning the purchaser is liable for related dismissals. The seller and purchaser are both obliged to consult prior to the transfer and failure to do so can give rise to compensation for which both seller and purchaser are liable. We usually run multiparty claims on a no win no fee basis at very competitive rates and continuously deal with the Redundancy Payments Service and many administrators which allows us to deal with these claims effectively and efficiently. Although these are volume cases we provide the same standards of service as to individual claimants and are happy to travel across the UK to meet with potential claimants free of charge. "We are dedicated to providing clients with the highest levels of customer satisfaction by identifying their needs and wishes and working to achieve the best possible resolution"
"Nualaw have supported us for several years now with great professionalism, they understand our business and the people within it which has been key when providing their personal touch." If you suspect a problem or conflict in the workplace it’s usually wise to seek specialist employment advice promptly to prevent the situation escalating. Pre-emptive advice is always preferable to damage limitation, however, should you need to defend a claim we will advise you realistically on both the merits and economic prospects of such action. Our experience and practice allows us to provide a full advocacy service which runs from initial advice through to representation at tribunal. This ensures continuity and avoids duplication of work ensuring that your time and costs are not wasted repeating instructions. Nuala Toner conducts cases in both the Employment Tribunal and Employment Appeal Tribunal, often appearing at Birmingham, Manchester, Leeds and Reading. As seriously effective and dedicated advocates we recognise that sometimes your needs can be better served by a barrister especially with multi-day hearings or Court of Appeal cases. Choosing the right barrister can win or lose a case and we use only counsel with whom (or against whom) we have worked closely on previous occasions. "in the best of hands." "We will assess your situation, advise you of your options and give you straightforward pragmatic advice"
"The advice you gave me was invaluable and I am truly grateful. Now I am looking forward to moving on in a new direction." The first step in deciding what action to take when problems arise at work is to understand your legal position. Nualaw’s specialist employment law solicitors will assess your situation, advise you of your options and explain how much your claim will cost. We can often put your mind at ease with a telephone call and may not even need to charge you for initial legal advice. Many cases do not proceed to tribunal and it may be possible to resolve matters earlier. If you decide legal action is necessary we will ensure that we explain each step thoroughly and ensure you receive consistent representation throughout your claim. You may have legal expenses insurance that will fund legal advice and tribunal representation, be able to seek help through a union or even an organisation that provides free advice or legal aid. We often take cases on a no win no fee arrangement or you might want to consider running your own case using us only when you really need to, reducing your legal fees substantially. It is really important that you act quickly. Early advice can prevent the need for a claim and in most cases you have less than three months to bring a claim. Time limits in employment law matters generally run from the last date of your employment for unfair or constructive dismissal but for cases of whistleblowing or discrimination time limits can be much earlier and you may want to consider bringing a claim whilst you are still employed. "a friendly, sensitive and supportive attitude with a totally professional approach"
"We regularly advise and represent claimants in claims for unfair dismissal, discrimination and whistleblowing"
Settlement Agreements, (sometimes referred to as Compromise Agreements or Exit Agreements) can be a swift and practical way of resolving a dispute that may otherwise progress to an employment tribunal. Discussions leading to a settlement agreement are often labelled as ‘without prejudice’ but since 2013 we have seen the introduction of ‘protected conversations’ which can be a safer route for both employer and employee. The first step in reaching a successful settlement agreement is usually a protected conversation but you do need ensure this conversation is handled correctly in order to protect your future position. If handled correctly protected conversations cannot be used against you at a later date and are inadmissible in future legal proceedings, leaving your options open if settlement agreement negotiations fail. "The law was explained carefully in a way I could understand"
It is important to appreciate the limitations of without prejudice and protected conversations. 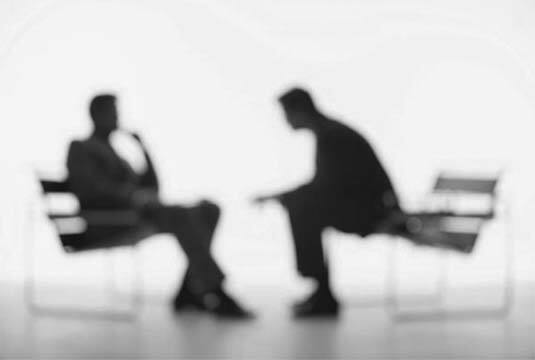 Without prejudice conversations are only without prejudice if there is a pre-existing dispute and protected conversations do not provide protection against claims for any form of discrimination. Once a settlement agreement is signed there is generally no option for further negotiations even for non-financial issues such as references and restrictions on future employment, so you need to be sure everything is covered. We often help employees who have been handed a settlement agreement with very tight deadlines and employers who need to resolve issues quickly. We appreciate this is stressful and can normally provide advice on the same day. For employees considering accepting a settlement agreement we are usually able to give some free initial advice and usually negotiate payment of our fees from your employer. A further option for employers seeking to terminate an employee’s employment is to consider whether a settlement agreement is the quickest and safest route to compromise any future claims or whether an agreement using the services of ACAS would be a better option. "We can often put your mind at ease with a telephone call"
Human test: What is the opposite colour of white? © Nualaw, 2010. Nualaw Limited, trading as Nualaw, is a registered Company (No 6630242) in England and Wales and is regulated by the SRA.